In recent years, deep learning carves out a research wave in machine learning. With outstanding performance, more and more applications of deep learning in pattern recognition, image recognition, speech recognition, and video processing have been developed. The talk is to introduce “Broad Learning” – a complete paradigm shift in discriminative learning and a very fast and accurate learning without deep structure. The broad learning system (BLS) utilizes the power of incremental learning. That is without stacking the layer-structure, the designed neural networks expand the neural nodes broadly and update the weights of the neural networks incrementally when additional nodes are needed and when the input data entering to the neural networks continuously. The designed network structure and incremental learning algorithm are perfectly suitable for modeling and learning big data environment. Experiments indicate that the designed structure and algorithm out-perform existing structures and learning algorithms. Several BLS variations that cover existing deep-wide/broad-wide structures and their regression performance over function approximation, time series prediction, face recognition, and data modelling will be discussed. 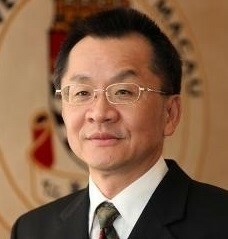 Dr. Chen’s research areas are in systems, cybernetics and computational intelligence. He is a Fellow of the IEEE, AAAS, and IAPR. He was the President of IEEE Systems, Man, and Cybernetics Society (SMCS) (2012-2013), where he also has been a distinguished lecturer for many years and received Outstanding Service Awards 4 times. Currently, he is the Editor-in-Chief of IEEE Transactions on Systems, Man, and Cybernetics: Systems (2014-). He has been an Associate Editor of many IEEE Transactions, and currently he is an Associate Editor of IEEE Trans on Fuzzy Systems, IEEE Trans on Cybernetics, and IEEE/CAA Automatica Sinica. He was the Chair of TC 9.1 Economic and Business Systems of IFAC (2015-2017). He is also a Fellow of CAA and Fellow of HKIE and an Academician of International Academy of Systems and Cybernetics Science (IASCYS). 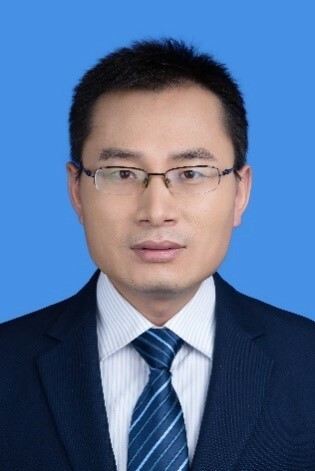 In addition, he is an ABET (Accreditation Board of Engineering and Technology Education, USA) Program Evaluator for Computer Engineering, Electrical Engineering, and Software Engineering programs. University of Macau’s Engineering and Computer Science programs receiving HKIE’s accreditation and Washington/Seoul Accord is his utmost contribution in engineering education for Macau as the former Dean. During his deanship, the engineering and computer science programs have been ranked at world top 200 in the Times Higher Education (THE) world university ranking. The computer science program is also ranked at world top 175 in the US News and World Report global university ranking. Dr. Chen won the Norbert Wiener Award of IEEE Systems and Cybernetics Science in 2018. Dr. Chen received Outstanding Electrical and Computer Engineering Award in 2016 from his alma mater, Purdue University, West Lafayette, where he received his Ph.D. degree in 1988, after he received his M.S. degree in electrical engineering from the University of Michigan, Ann Arbor, in 1985.